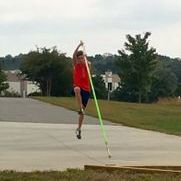 11' 6", 2nd place, US Milesplit Gold Elite Status, NCTCCA All-State. 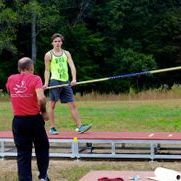 Ally’s improvement is more than 2 feet just this season. 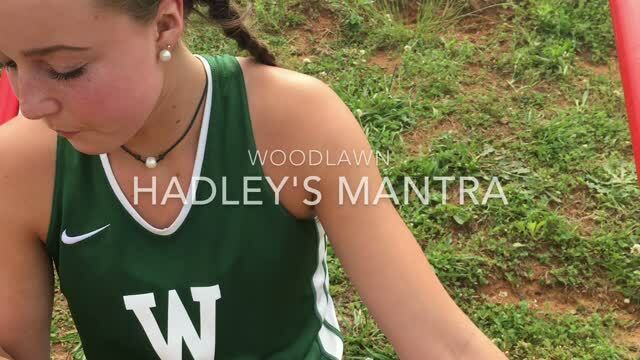 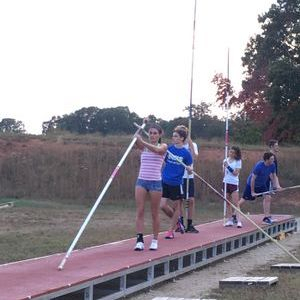 She is currently ranked 2nd among all Juniors in NC heading into the outdoor season. 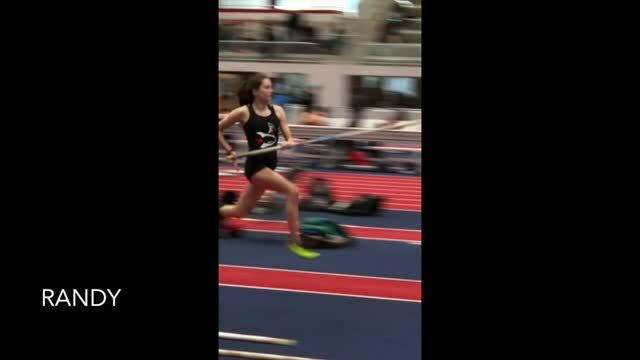 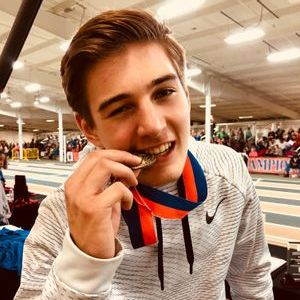 11’, 2d place, US Milesplit Silver Elite Status, NCTCCA All-State. 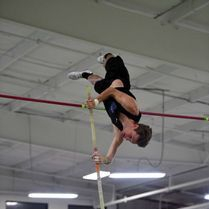 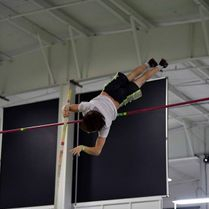 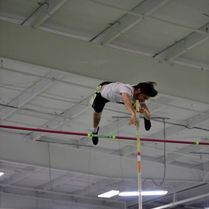 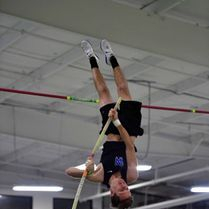 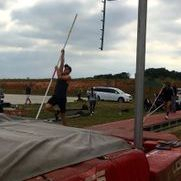 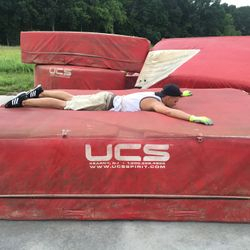 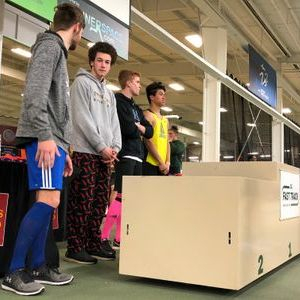 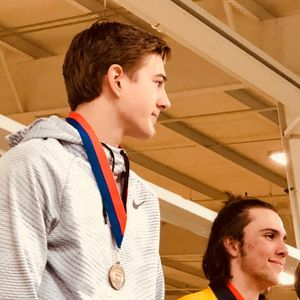 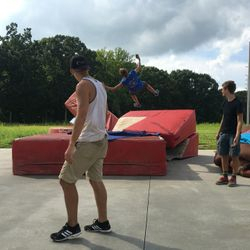 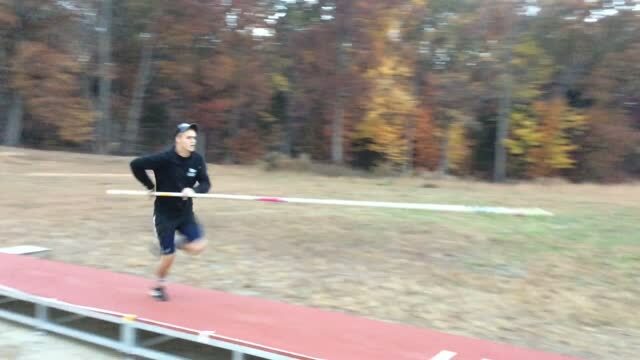 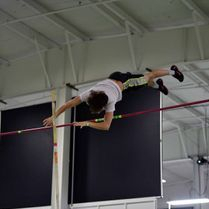 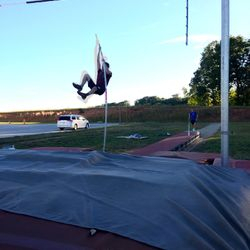 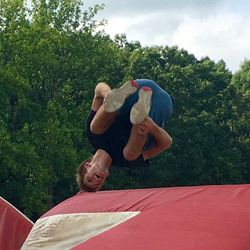 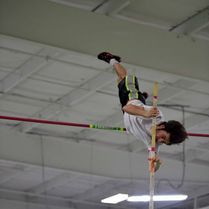 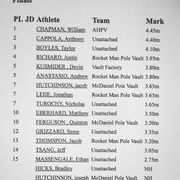 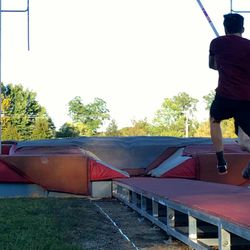 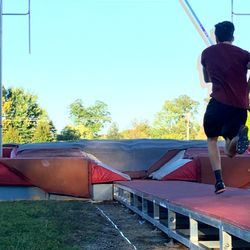 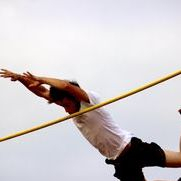 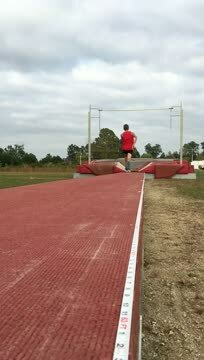 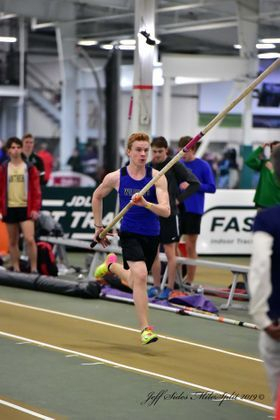 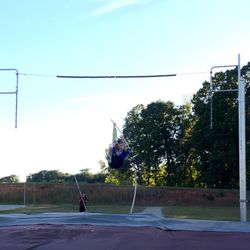 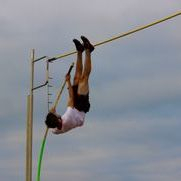 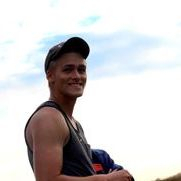 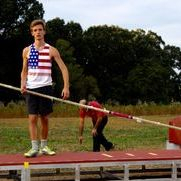 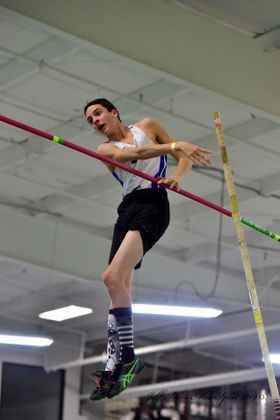 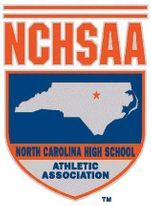 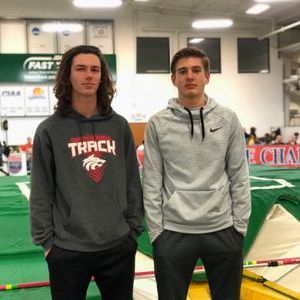 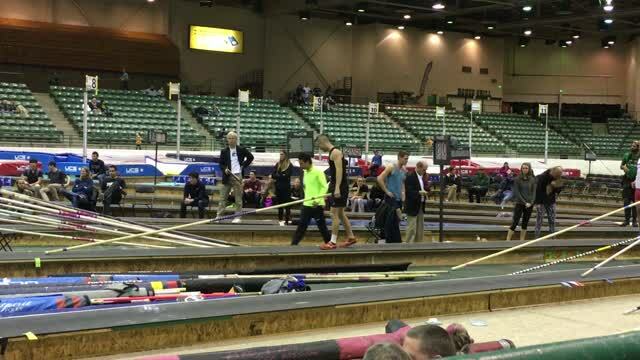 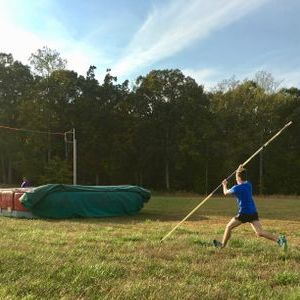 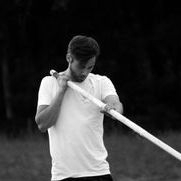 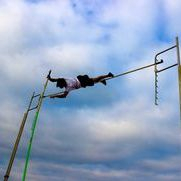 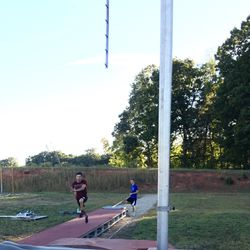 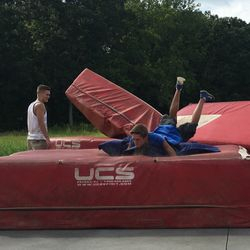 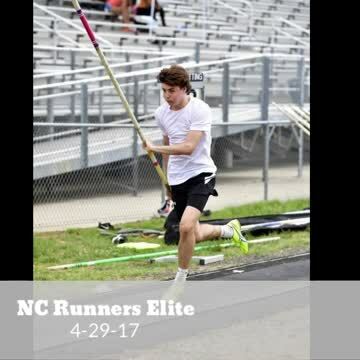 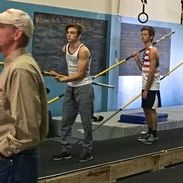 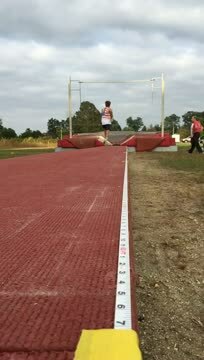 Spencer came back from injury to jump 15’ from a short run in the State Championships, and will compete for the 2nd time at the Championship level at New Balance Nationals in March, where last year he placed 6th in the country with a jump of 16’ 1.25.” He remains NC’s #1vaulter across all grades and divisions. 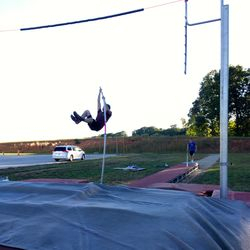 Bugs competed for his 7th time ever, earning a new personal best of 12’, is ranked 1st among all Freshman in NC, and is in an 18-deep tie for 34th across all grades and divisions. 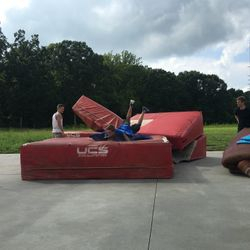 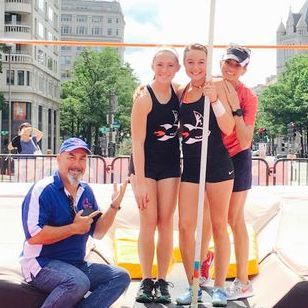 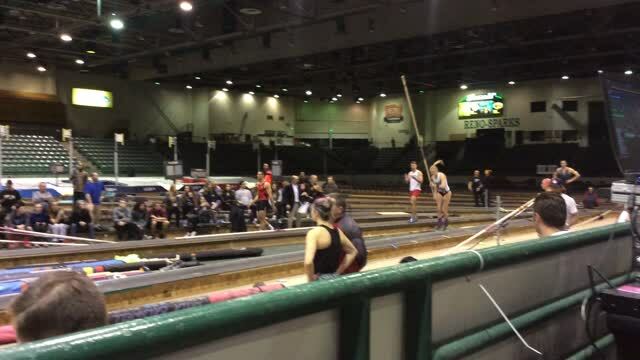 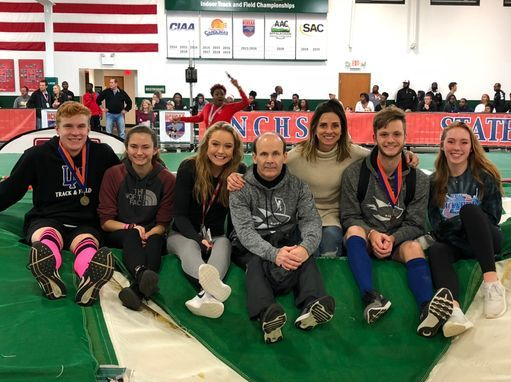 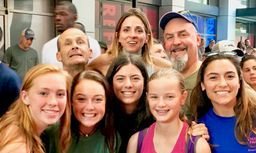 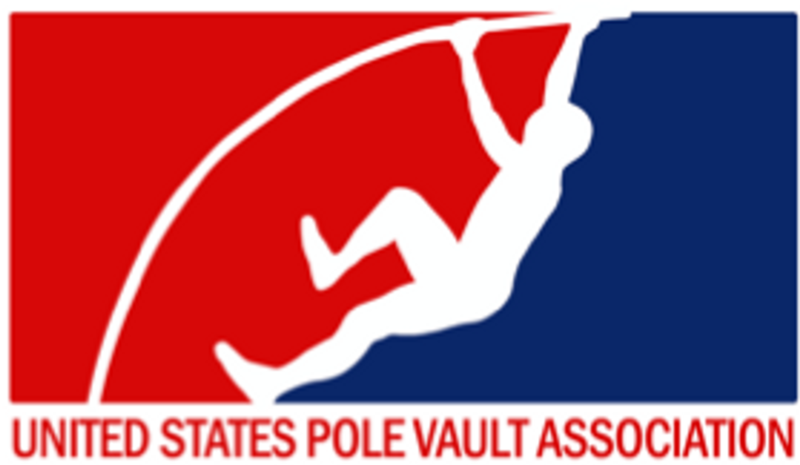 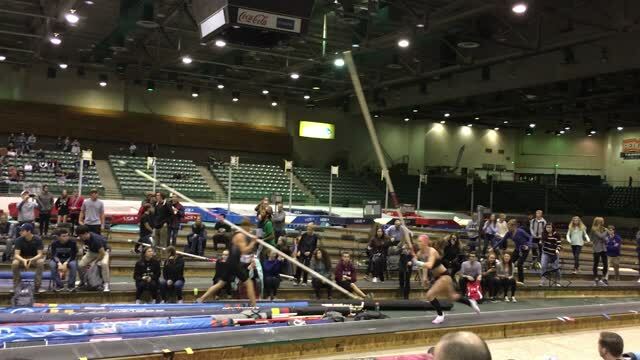 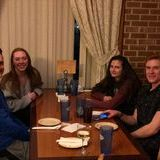 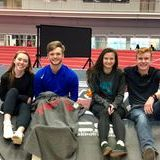 RMPV Vaulters Rachael & Katie Shubert, Ally Richardson, Hadley Zucker; Coaches Eric Richard and Donna Carpentier; Vault Factory's Coach Carl Porambo and daughter Frankie road-tripped to Louisville for this super fun street vault! 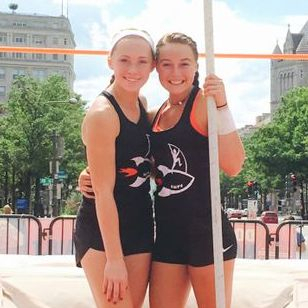 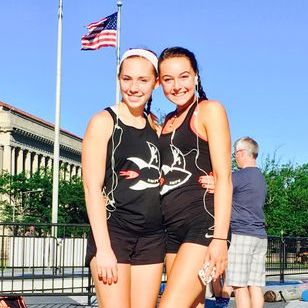 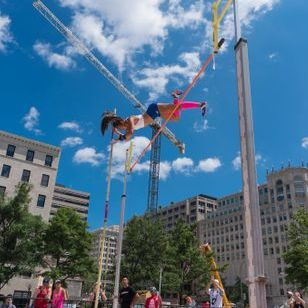 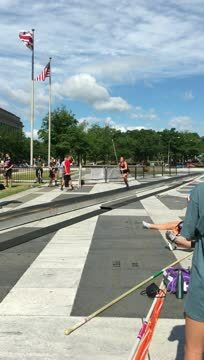 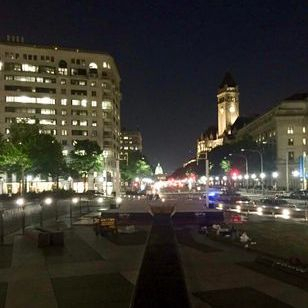 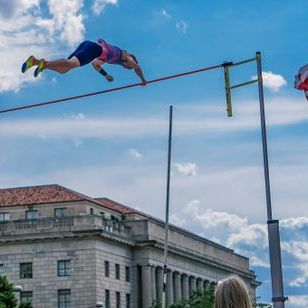 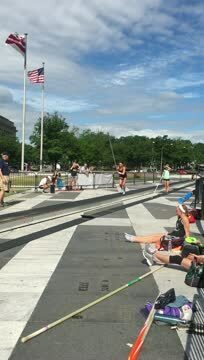 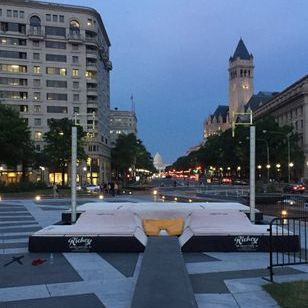 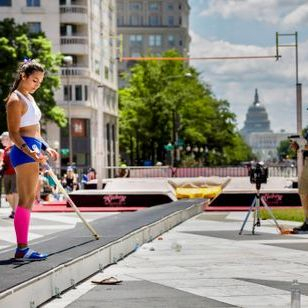 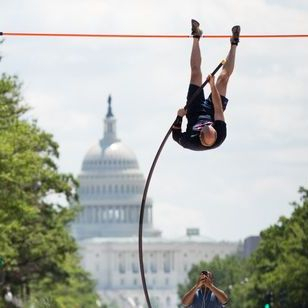 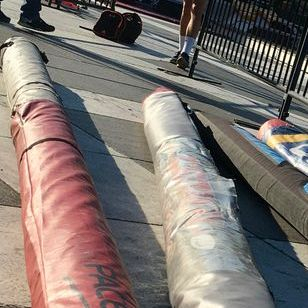 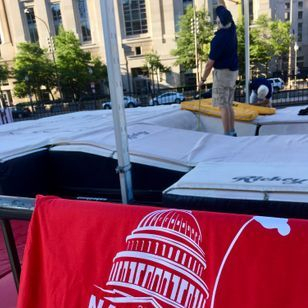 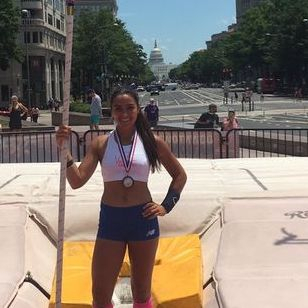 RMPV Vaulters, Freshman Ally Richardson and Freshman Hadley Zucker competed Saturday morning in Washington DC's Freedom Plaza in the shadow of the Capital Building. 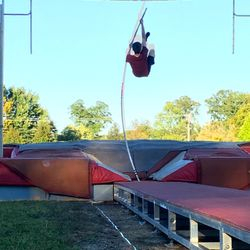 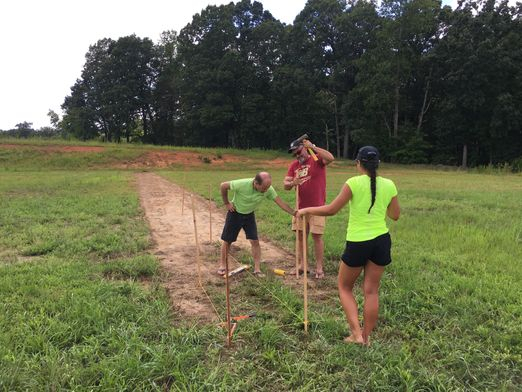 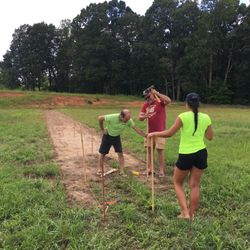 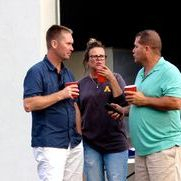 Joining us were our good friends from New Jersey, Vault Factory owner/coach Carl Porambo and daughter Frankie, and Mark Cartazzo, Masters vaulter. 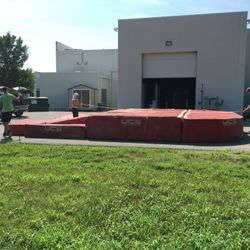 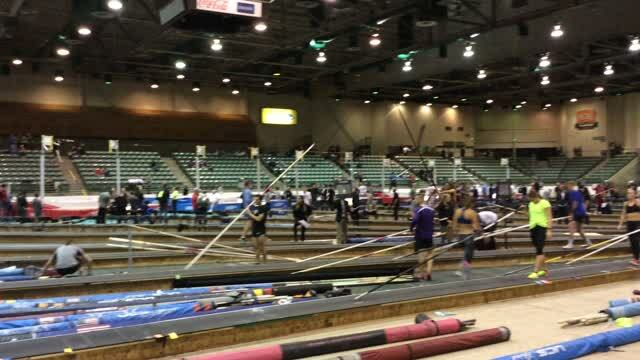 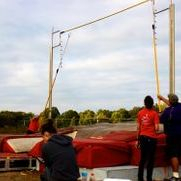 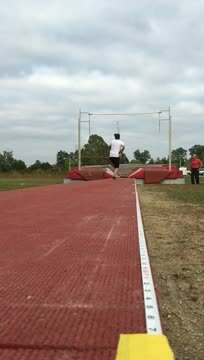 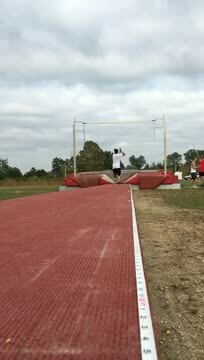 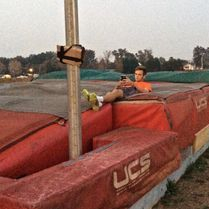 Here, Hadley PRs (by over a foot) with an 11' 1" vault, followed by 3 strong attempts at 11' 7"
Our first practice was BEAST! 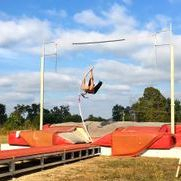 Thanks @skypolevaulter for stopping by with your beauty and helping our 🚀 today! 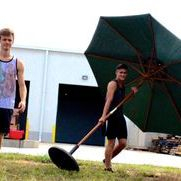 Summer is heating up! 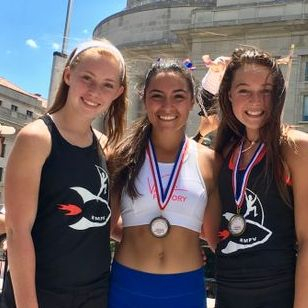 Be very intimidated by these girls-- there is NOTHING that Coach Rick, Cameron and Liam threw at them that they couldn't handle like the bosses the are! 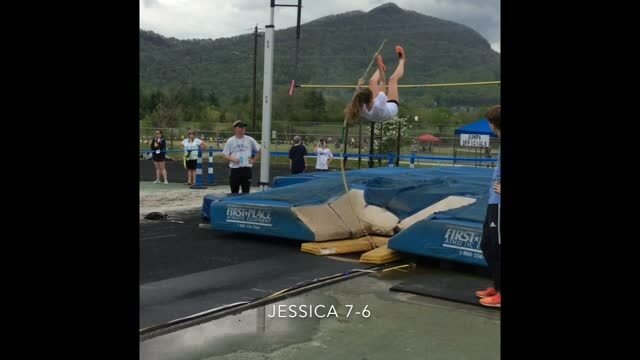 Allly Richardson 7' 6" Brennen Oliver 11' 6"
Katie Shubert's 9' State Qualifying jump! 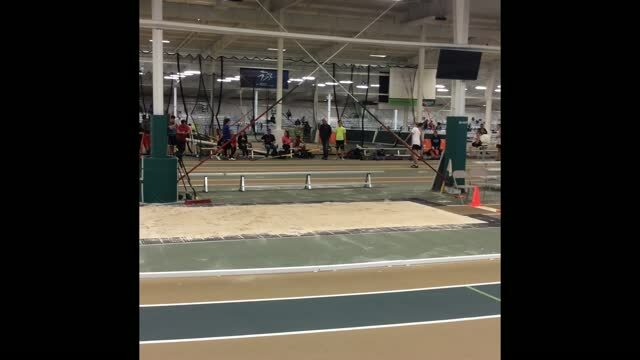 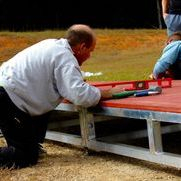 Coach Rick saw a lot of progress today, as the mid-indoor season is upon us. 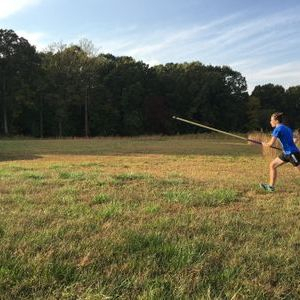 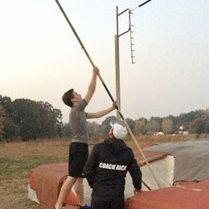 Hard work on various technical aspects is really paying off for these Rockets. 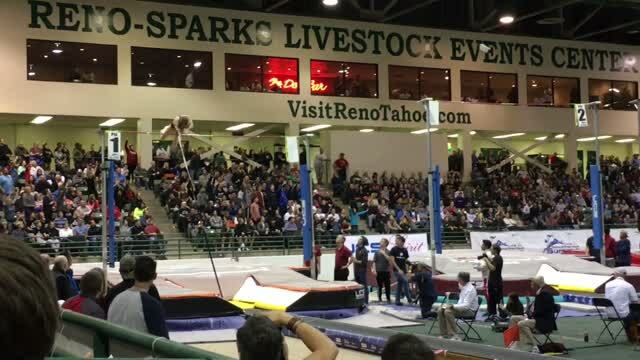 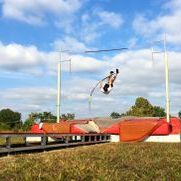 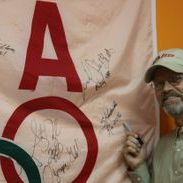 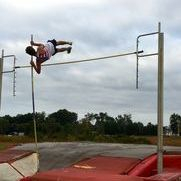 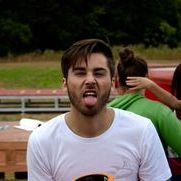 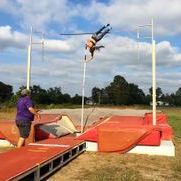 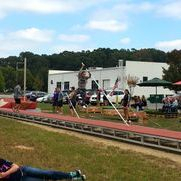 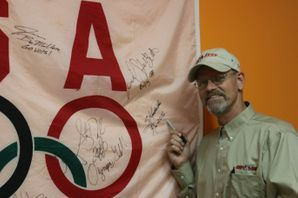 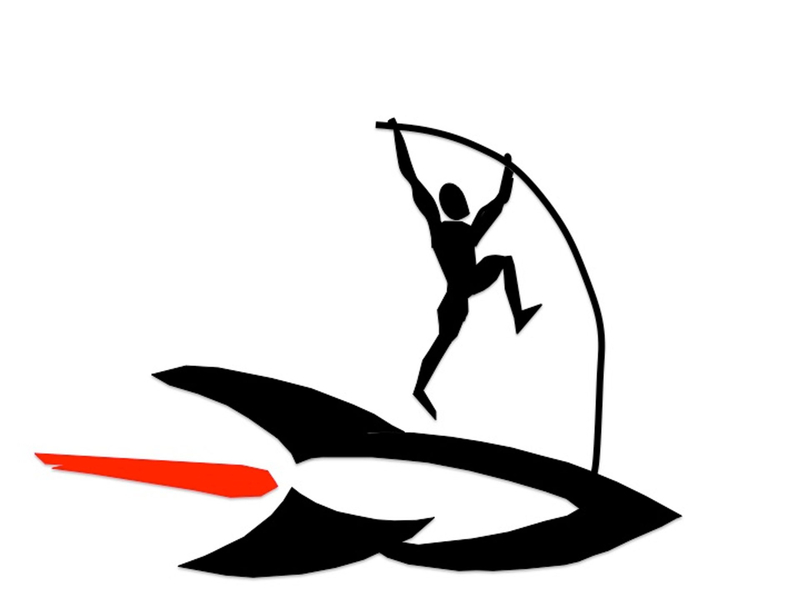 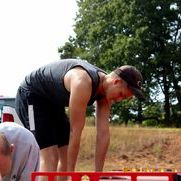 Friend Ben Finger of N. Gaston won the event, 14'. 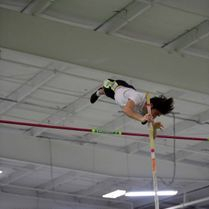 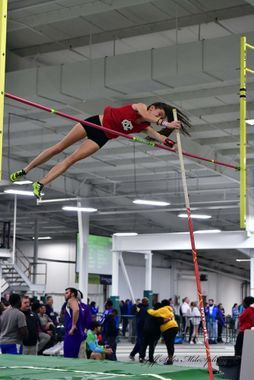 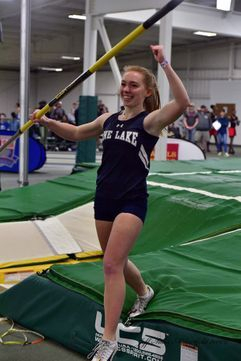 Jacob Thompson (jr, LNHS) posted a great 10' 6"
Katie Shubert (soph, MHS) showed off the skills she has been so tirelessly working on, jumping 8' 6"
High Point University's Pole Vault team competed in the college division: Rachel Berndsen, Cameron Carpentier, Isaiah Henderson, Carter Clasper, Zane Griffith and Jordan McClung, plus former HPU jumper and Scott's right-hand, Jill Marois. 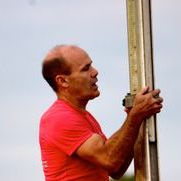 HPU Coach, Scott Houston competed in the men's elite division, alongside his friends -- various National and International record-holders and Olympians, such as Scott, Sandi Morris, Mary Saxer, Katie Nageotte, Alyssa Newman, Mike Arnold, Jeff Coover, our good friend Sean Young, and many, many more. 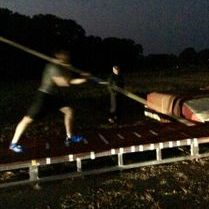 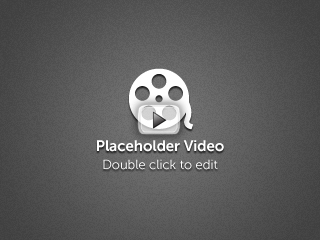 The best way to ring out the old year and launch into the new year! 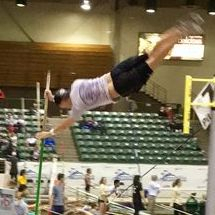 Fantastic flights, great PRs, good friends and lots of fun! 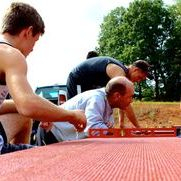 Thanks, Coach Riggs! 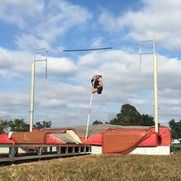 Once again, we are treated to balmy temps, headlights replace stadium lights, and Coach Rick's own competition poles were put to good use! 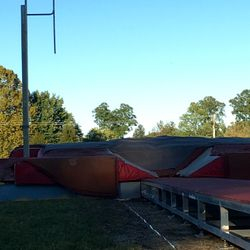 Taking full advantage of this mild NC November despite the early darkness (the car's high-beams rival stadium lights, after all). 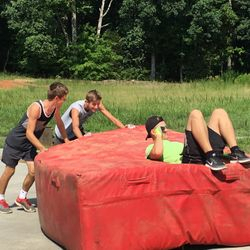 Jonathan Lehe, Brennen Oliver, Tristan Borlase and Andrew Anastasio work out the kinks. 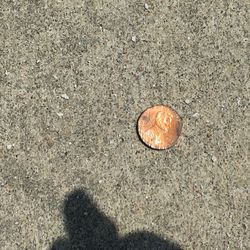 it's guaranteed to make you smile! 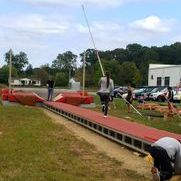 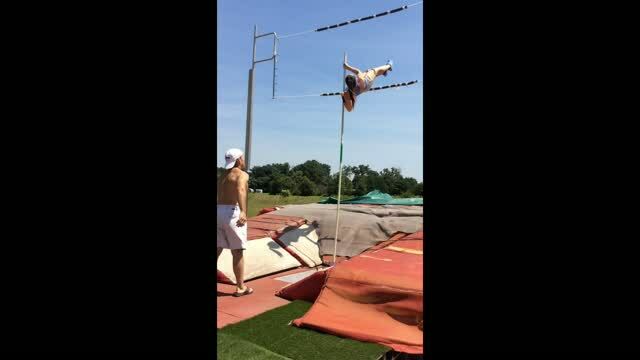 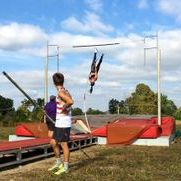 Today's temps reached into the high 70s, and these vaulters reached for new heights. 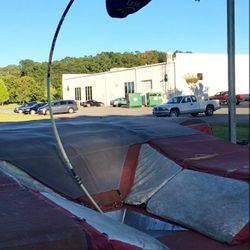 worked to perfect their technique. 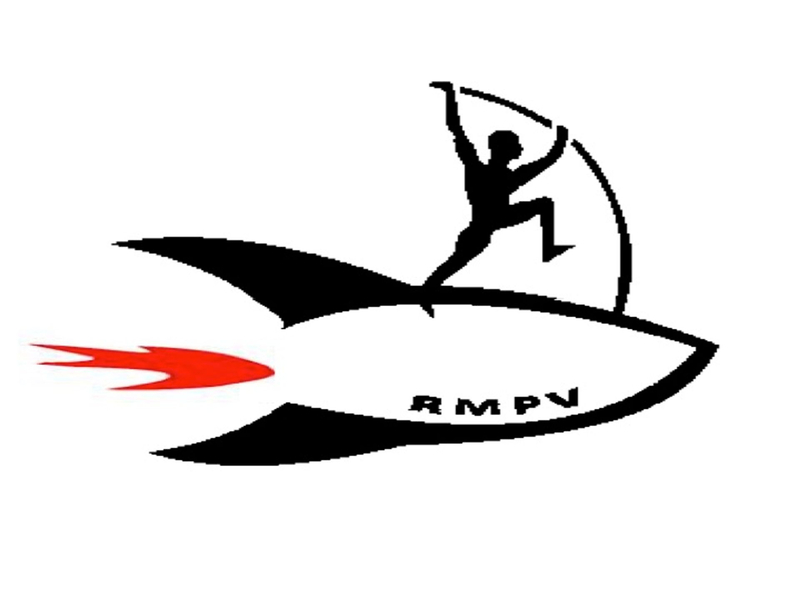 We are expecting a very successful RMPV season! 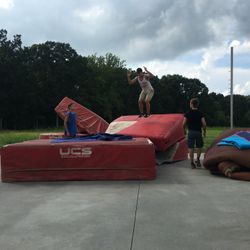 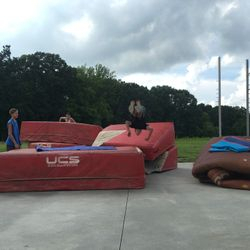 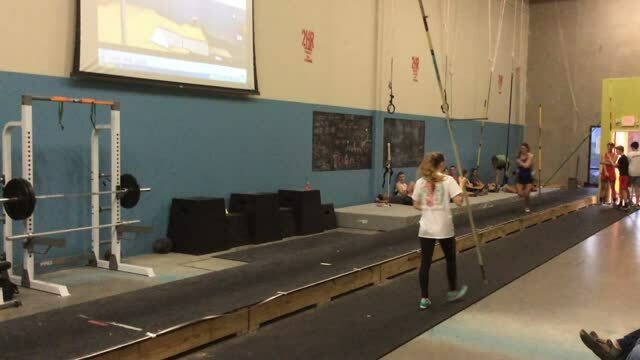 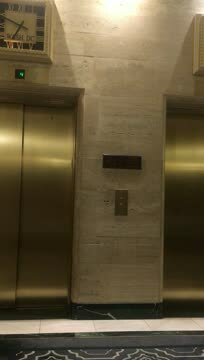 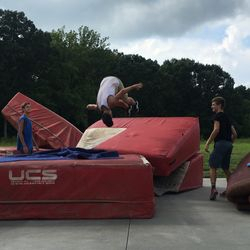 Jessica Brewer joined us for a jumps session that was awe-inspiring! 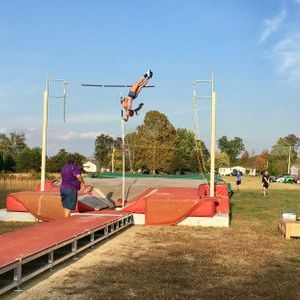 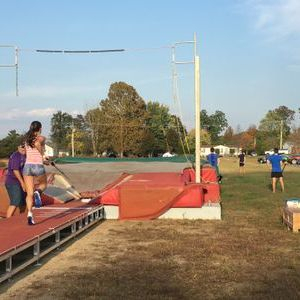 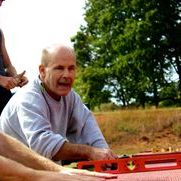 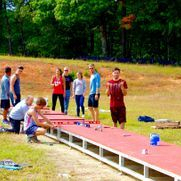 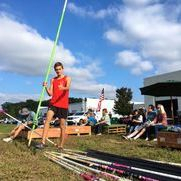 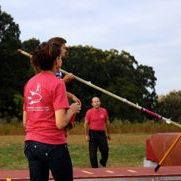 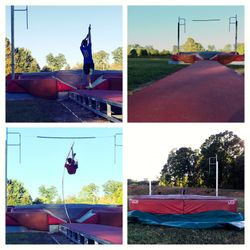 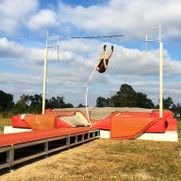 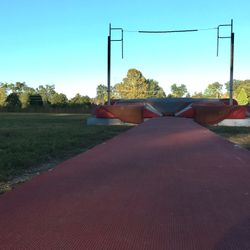 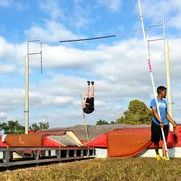 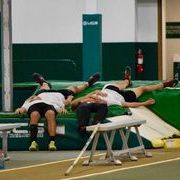 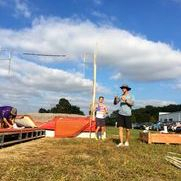 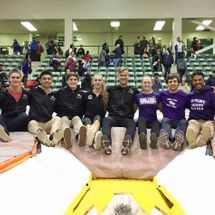 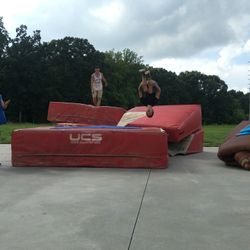 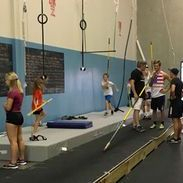 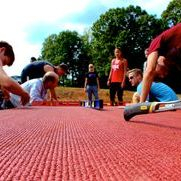 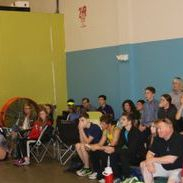 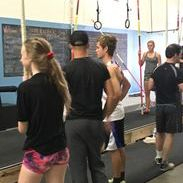 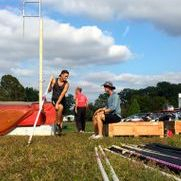 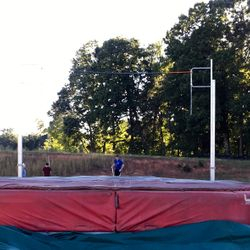 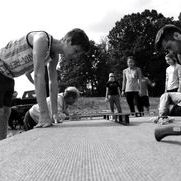 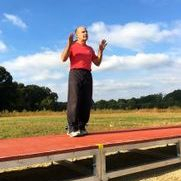 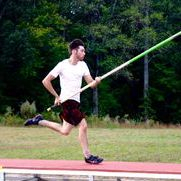 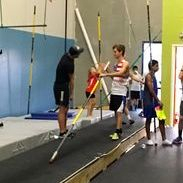 Pole Vault Carolina (Durham, NC) hosted a pole vault clinic conducted by 2016 U.S.A. Olympic medal winning coach, Scott Kendricks. 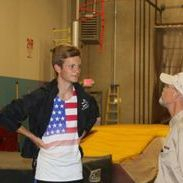 Coach Kendricks coached his son, Sam Kendricks, to a bronze medal at the 2016 Olympic Games in Rio. 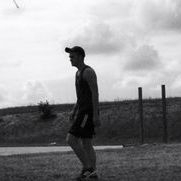 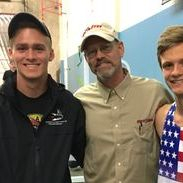 Under his father's tutelage, Sam also set an Olympic Trials record, won 5 consecutive USA Championships, and an IAAF World Indoor silver medal. 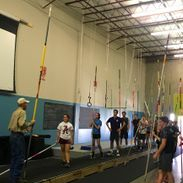 This was a very rare opportunity to learn from pole vault’s Coach K. The clinic was open to coaches and athletes of all age and skill levels. 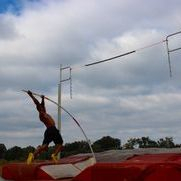 The Scott Kendricks Invitational took place immediately following the clinic. 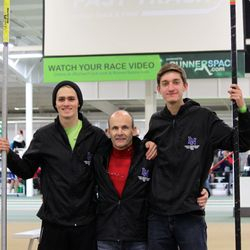 Rocket Man PV's Cameron Carpentier (Freshman, High Point University) and Jonathan Lehe (Junior, Lake Norman High School) joined Coach Carp for this wish-it-never-had-to-end day! 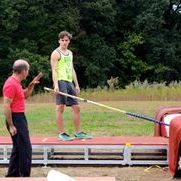 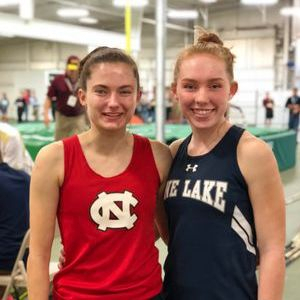 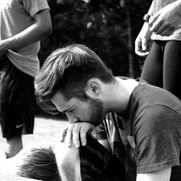 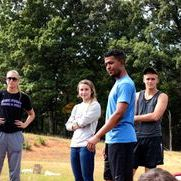 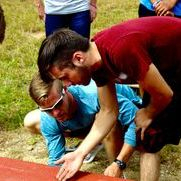 Beyond the valuable tips and finer points about pole vault we learned about humility, sportsmanship and strength of character. 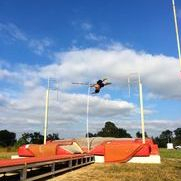 Mastery of all these things is how his son Sam Kendricks is not only an Olympian and defender of our country but a deeply good person. 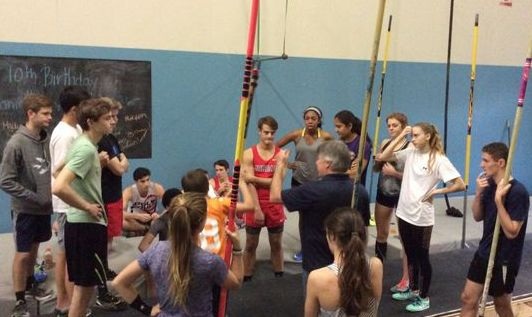 Thank you Pole Vault Carolina for hosting! 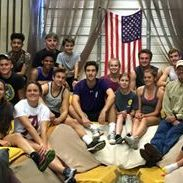 We love our "village"!! 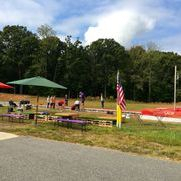 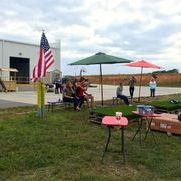 Our club's Grand Opening was a huge success. 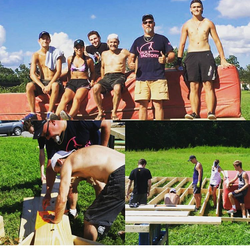 We raised a few dollars and had a lot of fun! 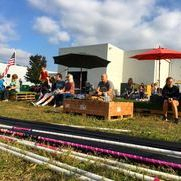 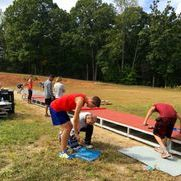 Although we took final delivery of the next 6 sections of our runway at 9am, our PV family all gathered to help with the assembly and leveling, and we were ready for take-off! 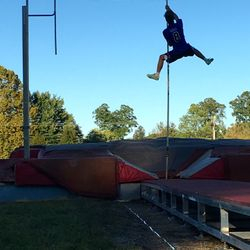 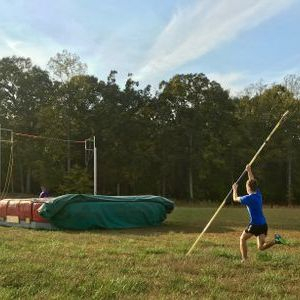 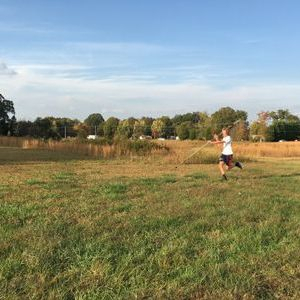 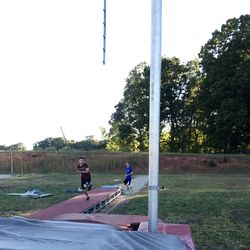 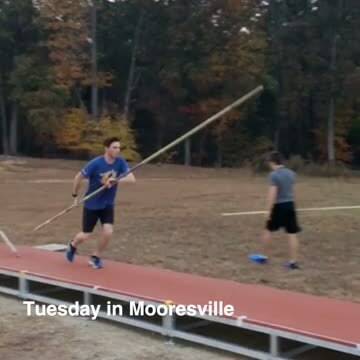 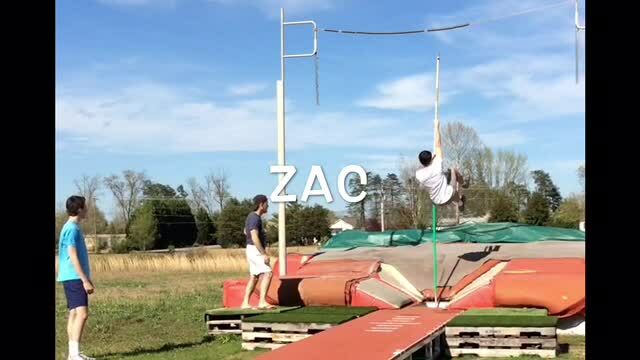 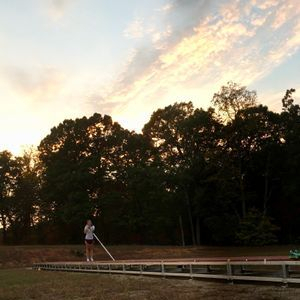 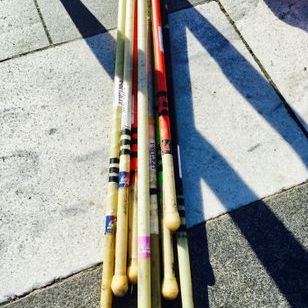 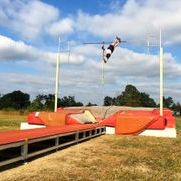 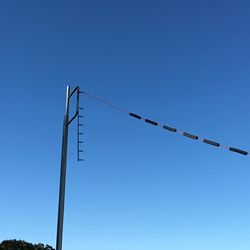 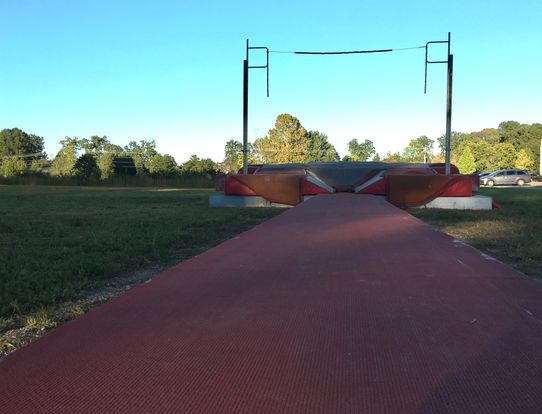 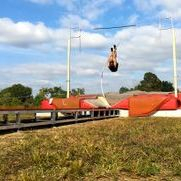 Jonathan Lehe and Justin Richard brought some poles back with them after Sunday's practice at Vault House and decided to test our runway under a late-afternoon famous Carolina blue sky. 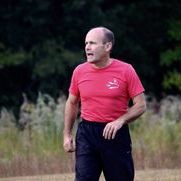 Coach Rick was DELIGHTED! With Hurricane Matthew looming just to the south of us, and the rain and wind making their presence known, (really? 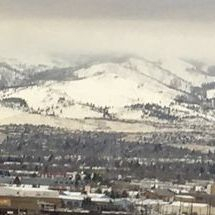 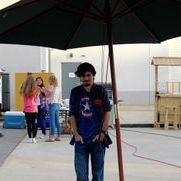 we haven't had rain in what seems like 70 days, and you choose TODAY?) 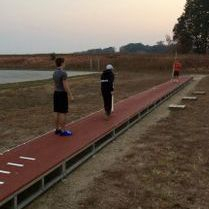 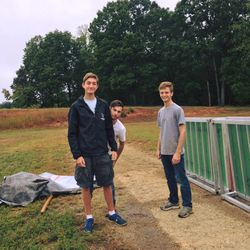 the boys and Coach nonetheless set out our first 6 sections of completed runway, attached the stabilizing, adjustable feet, leveled everything. 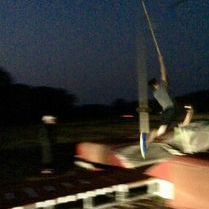 Then, some 6 hours later, went home for a hot shower, dry clothes and some chicken soup. 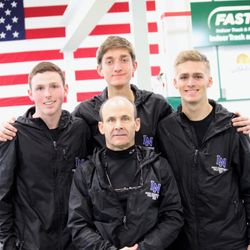 Hats' off to Jonathan Lehe, Justin Richard, Andrew Anastasio and Coach Rick! 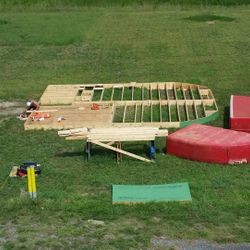 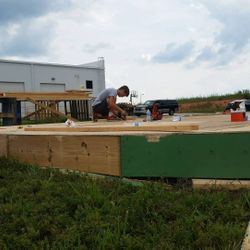 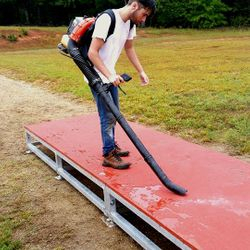 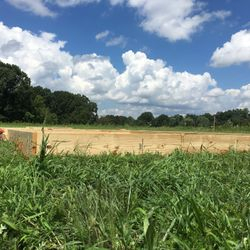 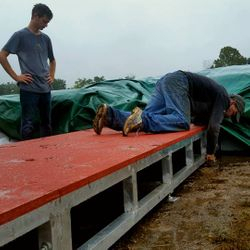 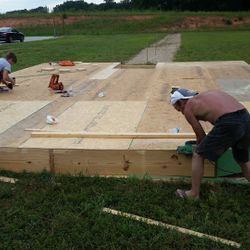 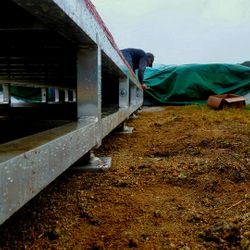 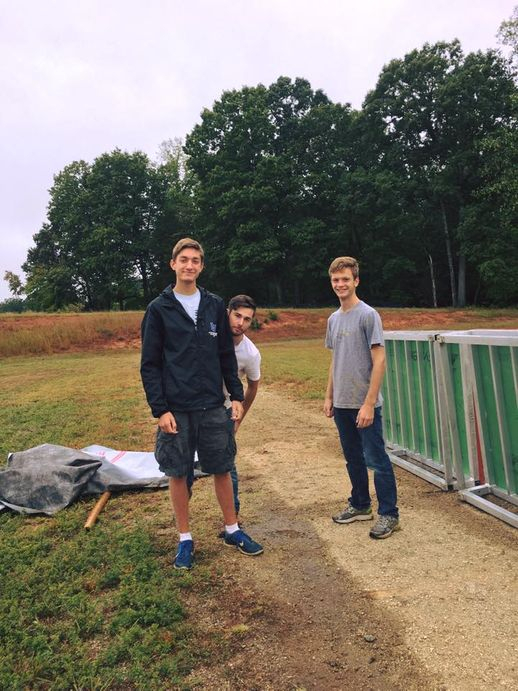 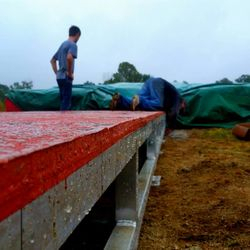 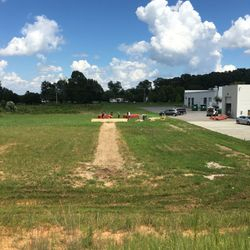 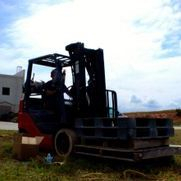 The weather-resistant pit base is finished and the runway is being manufactured! 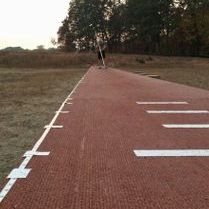 World, here we come! 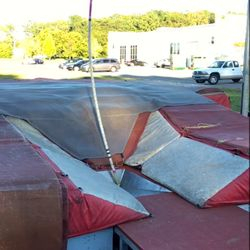 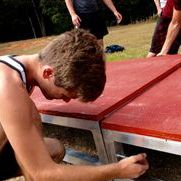 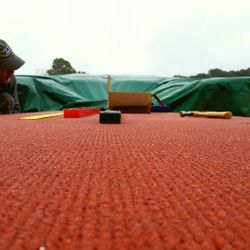 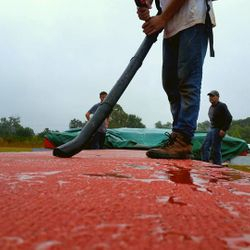 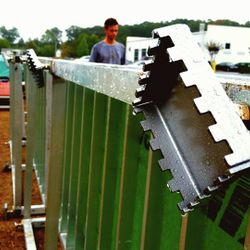 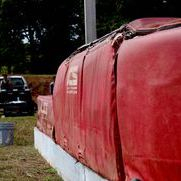 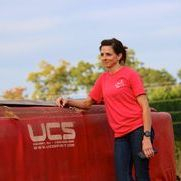 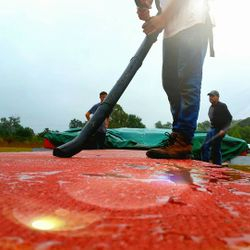 Our UCS 2100 Pole Vault Pit (and standards, base cover and weather cover) is here! 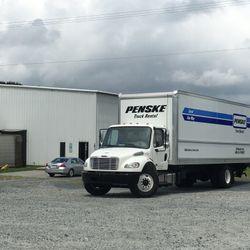 We rented a big (BIG!) 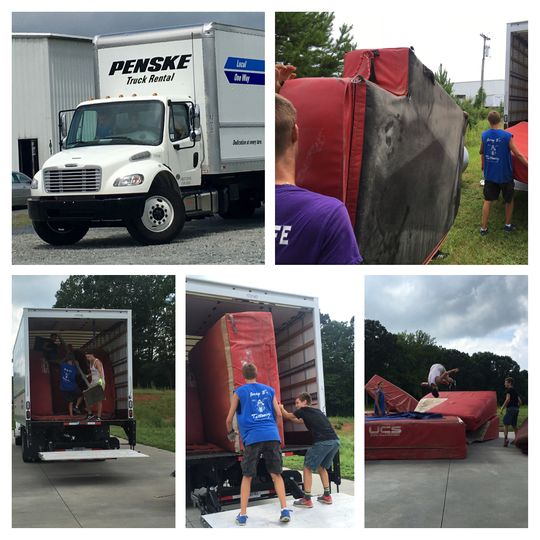 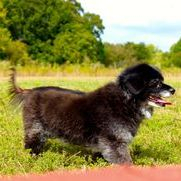 truck and drove out to Vault House in High Point, NC to pick it up on Friday, August 5th. 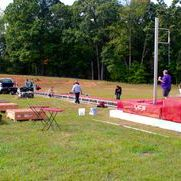 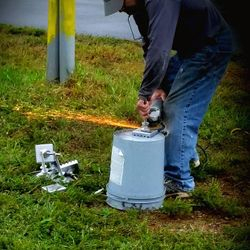 Then we set everything up in the lot and took dimensions on Saturday morning. 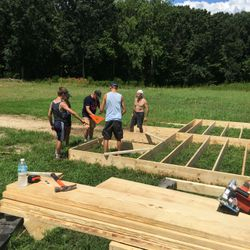 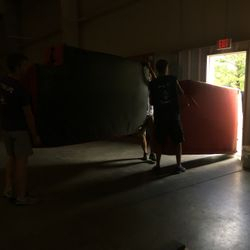 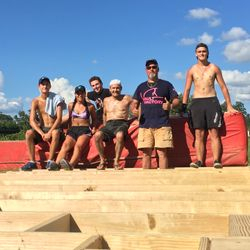 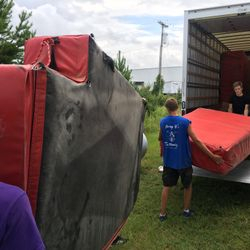 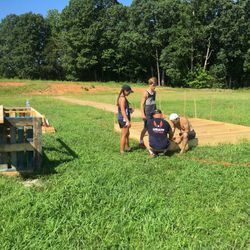 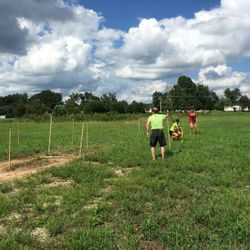 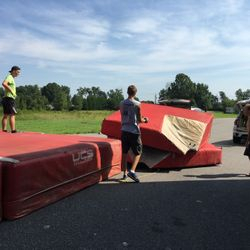 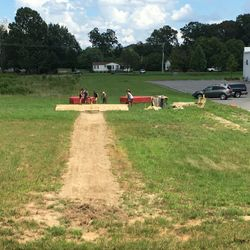 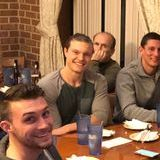 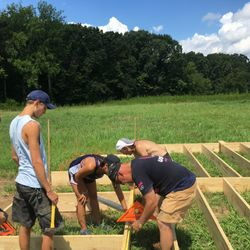 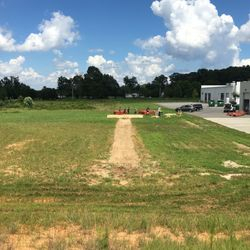 Thank you for sweating along with us, Cameron Carpentier (truck driver and hauler), Andrew Anastasio, Jonathan Lehe, High Point University PV Coach Scott Houston, and Coach Eric Richard (and me, Donna). 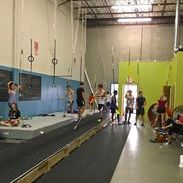 We did sweat, and some of us may have been a little sore, but OMG we had so much fun! 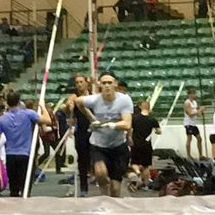 Andrew Anastasio (Jr), 17th place, 11'00"
Cameron Carpentier (Sr), 11th place, 12'00"
Brennen Oliver (Jr), 15th place, 11'06"